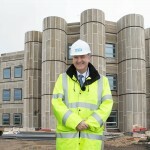 Sir Bruce Keogh is set to see the progress being made on the new Emergency Care Hospital being built in Northumberland – the first purpose-built hospital of its kind in England. 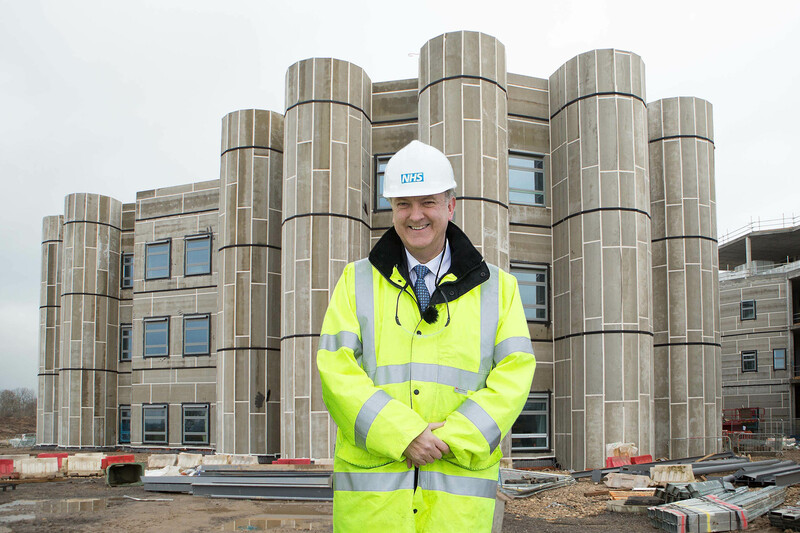 NHS England’s National Medical Director will be given a tour of the £90million development next month – just over a year since he was guest of honour for the topping out ceremony. And, as these aerial pictures show, the hospital in Cramlington now dominates a huge area and is on course to be ready to go operational receiving its first patients in June. The new hospital is the result of ten years’ work led by clinical teams at Northumbria Healthcare, and will be dedicated to emergency care. It will have A&E consultants physically on site 24/7, as well as specialists in a range of conditions also available seven days a week. It is part of an innovative new model of emergency care which will help save more lives and improve clinical outcomes for more patients across Northumberland and North Tyneside. The new model at Northumbria is in line with the vision recently outlined in the NHS Five Year Forward View to develop networks of linked hospitals that ensure patients with the most serious needs get to specialist emergency centres, and that hospital patients have access to seven day services where this makes a difference to outcomes. The approach has been endorsed by Sir Bruce who, as part of his Urgent and Emergency Care Review, is calling for “patients to receive the right treatment at the right place”, with consistent levels of senior staffing in order to maximise chances of survival and a good recovery for patients. Sir Bruce explained: “This is all about ensuring patients with complicated needs or life threatening conditions get to a centre with the appropriate expertise in place. 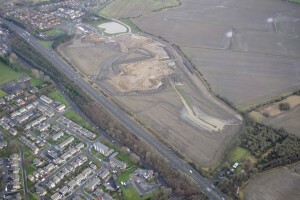 “The challenges facing A&E services across the country are immense and our vision for the future is very much in line with what Northumbria Healthcare have already been developing with the opening of the Northumbria Specialist Emergency Care Hospital to look after those with serious, life threatening emergencies. “It is testament to the clinical teams at Northumbria, who began thinking about their new model of emergency care many years ago, that the North East is now well ahead of other parts of the NHS in making the national vision for urgent and emergency care a reality for patients. Mr David Evans, Medical Director at Northumbria Healthcare NHS Foundation Trust, said: “The evidence is clear that seeing the right specialist for your condition quickly when you are seriously ill or injured greatly improves chances of survival and results in better clinical outcomes for patients, regardless of journey times. “We are very proud that our teams are ahead of the rest of the NHS in developing a new model of emergency care which has been ten years in the making, will be clinically best for patients and also resilient for the future. 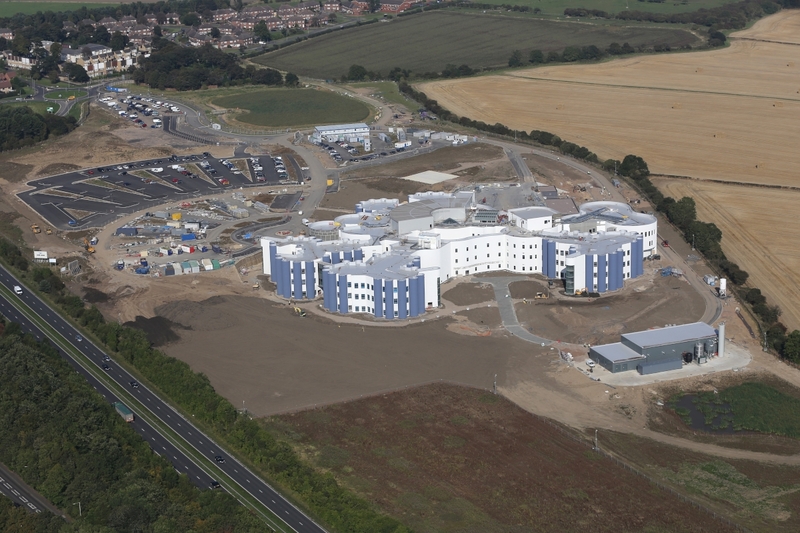 The Trust has invested £75 million to build the new state-of-the-art Northumbria Specialist Emergency Care Hospital with a further £15million invested on roads, infrastructure and new equipment. A short stay paediatric assessment unit with paediatric ambulatory care spaces for children who do not need admission overnight. An ambulatory care unit to provide care for those who do not need emergency hospital admission. A Birthing Centre with a consultant/obstetric led unit and co-located midwifery-led care and special care baby unit.